French: Toucan de baillon; German: Goldtukan; Spanish: Tucán Amarillo. Baillonius hailloni Vieillot, 1819. The saffron toucanet is the sole representative of the genus Baillonius, which is the only monotypic ramphastid genus. 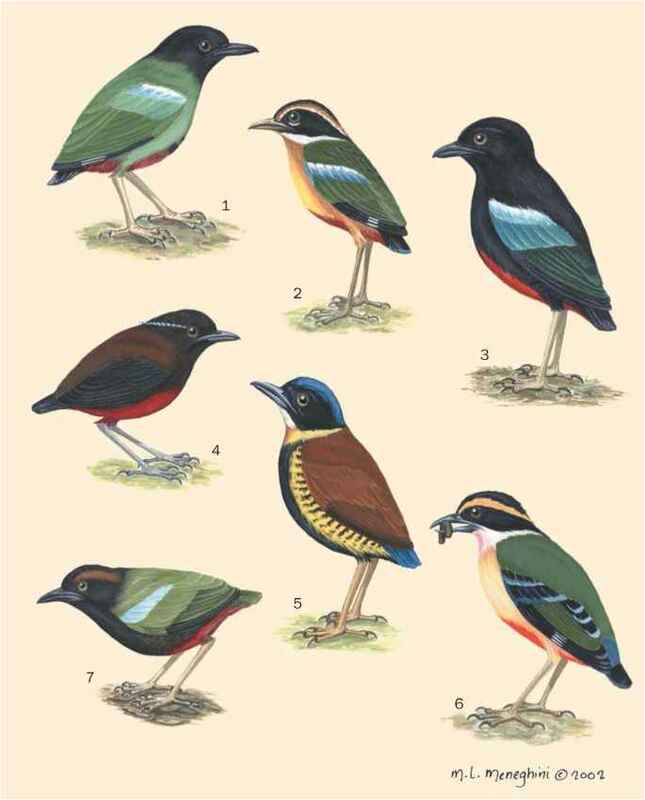 Peters (1934-1986) groups this species with the genus Andigena. A medium-sized toucanet, about 10 in (35 cm) long. Average weight 5.7 oz (163 g). In the field, the only toucanet to appear mostly yellow; bill is red and green. Eye is yellow and surrounded by red skin. This species is limited to the south Atlantic forests of eastern Paraguay, southestern Brazil, and northeastern Argentina. Not well known. This species ranges from lowland tropical evergreen forest up to 5,100 ft (1,550 m) in lower montane forest. Calls are similar to those of aracaris Pteroglossus. Described as silent and secretive in its habits. Has been seen eating figs, palmito fruits, and Cecropia fruits, but feeding ecology not well known. Captive birds hold fruits with feet while breaking into smaller pieces. Remsen et al. examined stomach contents of five specimens and found only fruit, no arthropods or small vertebrates. Little is known. Courtship feeding and allopreening occur. Nests in tree cavities; male and female sometimes drum like woodpeckers near the nest entrance. Near Threatened due to habitat loss, capture for the cage bird industry, and to some degree hunting. Habitat destruction is mostly a consequence of agrarian conversion.